Grooming an animal properly is very tedious work and takes far more experience and skill than the average person can competently accomplish. The length and type of coat adds even more complexity, and requires expensive and difficult grooming equipment to master equipment to successfully do the job. 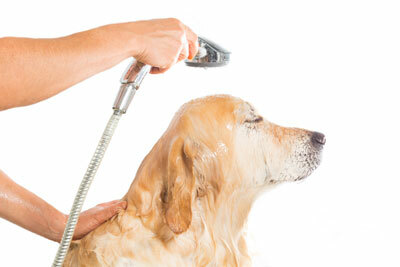 Many believe a loss of business occurs to in-house groomers due to grooming equipment sales to DIYers or self-wash services, but they ignore the explosive growth of “Grooming” as the hottest, most profitable segment in the retail pet industry. Added services such as boarding, veterinary, training and animal rescue have helped promote an upward trajectory in this consistently growing market. During this time the number of groomers continues to expand, in turn expanding the number of groomings per day being performed by grooming professionals. More people with animals and the number of animals groomed per day are growing, while the number of places providing grooming, or selling grooming equipment continues to grow with each passing year. It appears that retail pet grooming equipment sales is only enhancing the professional grooming market. By providing more avenues to accomplish groomed animals, we are actually seeing new grooming business growth well into the future. Even retail owners who once downplayed the need for grooming and provided a small grooming equipment sales area are reluctantly accepting grooming as a higher priority in their business plan. …end of Part I – more to come!